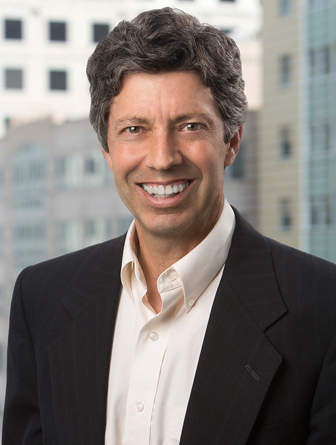 Michael Waldman is a trial and appellate litigator. Mike has extensive experience in civil, criminal, and debarment cases arising from federal fraud investigations. He also has handled numerous civil cases in the federal courts, including commercial, tax, bankruptcy, and appellate matters. He has special expertise in representing defendants in False Claims Act and qui tam lawsuits. He also has represented companies and individuals in a wide variety of federal white-collar criminal and civil investigations by the United States Department of Justice, U.S. Attorneys’ offices and various federal agencies. In addition, he has conducted a number of sensitive internal investigations for companies and provided advice on compliance matters. He has argued before the Supreme Court of the United States, as well as numerous United States Courts of Appeals, federal district courts, and state courts. Mike has won dismissals or obtained favorable settlements in a host of civil and criminal matters. Before joining Robbins Russell, Mike was a litigation partner at Fried, Frank, Harris, Shriver & Jacobson LLP from 1995 to 2007. Before that, he served as a law clerk for the Honorable Robert Vance of the United States Court of Appeals for the Eleventh Circuit from 1986 to 1987. Named repeatedly as a “Super Lawyer” in Super Lawyers, a Thompson Reuters publication recognizing outstanding lawyers. Represented The Official Committee of Unsecured Creditors in In re TOUSA, Inc., a fraudulent conveyance action in which a team of Robbins Russell lawyers secured a judgment in excess of $500 million. Represented clients in numerous False Claims Act cases, including Universal Health Services, Inc. v. U.S. ex rel. Escobar, 136 S. Ct. 1989 (2016); U.S. ex rel. Gage v. Davis S.R. Aviation, L.L.C. 623 F. App’x 622 (5th Cir. 2015); U.S. ex rel. McCollum v. Jacobs Engineering Group, 2014 WL 218441 (S.D. Miss. January 21, 2014); U.S. ex rel. Hansen v. Deming Hospital Corp., et al., 992 F. Supp. 2d 1137 (D.N.M. 2013); U.S. ex rel. Marquis v. Northrop Grumman Corp., 2013 WL 951095 (N.D. Ill. 2013); U.S. ex rel. Gonter v. Hunt Valve Co., 510 F.3d 610 (6th Cir. 2007); U.S. ex rel. Bledsoe v. Community Health Systems, 501 F.3d 493 (6th Cir. 2007); and U.S. v. Newport News Shipbuilding, Inc., 276 F. Supp. 2d 539 (E.D. Va. 2003). Has made mandatory and voluntary disclosures to various federal agencies, including the Departments of Defense, Transportation, and Justice. Served as regular FCPA counsel for a major communication and aviation electronics company with offices in 27 different countries. Argued Glover v. United States in the U.S. Supreme Court, winning a 9-0 decision.